Another successful weekend of FUN shows in Big Lake MN, York NE, Sioux Center IA, Lincoln NE, Finley ND, Virginia Beach VA, Tampa FL, Ogallala NE, Aberdeen SD, Sleepy Eye MN, and Sioux Falls SD. We had a FUNtastic time in all the different places we performed last weekend. With 6 teams, we can cover a lot of ground. We would love to add your town to our list of “Played There” locations. Contact us to find out what great deals we have in your area. Thanks to Big Lake MN, York NE, Sioux Center IA, Lincoln NE, Finley ND, Virginia Beach VA, Tampa FL, Ogallala NE, Aberdeen SD, Sleepy Eye MN, and Sioux Falls SD for helping make our dueling pianos show the most requested travelling piano show in the country! Our fans make our job even more FUN! York NE and Seward NE Small Businesses: Treat your staff to an amazing night of food, entertainment and FUN! If you are one of the many small businesses in the Midwest still recovering from the economic slump, you may be thinking that it is impossible for you to host any kind of holiday party this year. We have a solution that will not only provide a holiday party for your staff, but will also thank them for a great year while encouraging them to continue their hard work through the upcoming year. We provide the venue, the entertainment and the food. You provide the people, along with many other small business owners and managers who will bring their people, and we have a Big Fun Pianos! Party for Your Small Business. It’s that easy. Tickets to the event are affordable, the food is delicious and you get an amazingly FUN show that will provide lasting memories for your entire office. If you are in or near York, NE… We will be at Chances R Restaurant on 1/9/2015. Get your tickets HERE for York. If you are in or near Seward, NE… We will be at the Lied Senior Center on 1/23/2015. Get your tickets HERE for Seward. We are ready to start off 2015 with a Big Fun Pianos Party for Your Small Business, in York NE! We have less than 2 weeks to go until we take over the Chances R Restaurant for a night overflowing with FUN! Bring your staff and treat them to a delicious dinner and a FUNtastic show. We can’t think of a better way to let your employees know how much you appreciate them. Laughter and fun will continue to resonate throughout the rest of the year when your staff remembers the great time they had at the show. We are almost sold out for our Big Fun Pianos Party in York NE on 1/9/15! Looking for great gift ideas? How about a dueling pianos show? Tickets make great holiday presents, and you get to relive it when you go to the event! Thank your employees, take your of-age family for a night of Fun Pianos! The York & Seward shows include dinner, and the Ansley show is dirt cheap. As the year is winding down, we are gearing up for a FUN packed holiday! We have the most AMAZING, FUN, AWESOME, ENERGETIC, FANTASTIC dueling pianos show! Our clients are so happy with our dueling pianos show that they just couldn’t keep it to themselves. Holiday parties are in full swing! Sioux Falls SD, Orlando FL, Dallas TX and Des Moines IA… just to name a few! We had a FUNtastic time last week getting to help so many towns and companies celebrate the holidays with our FUN PIANOS dueling pianos show. This season is a wonderful opportunity to give generously of our time, talents and gifts to people that are less fortunate than ourselves. We have also been a part of some amazing fundraisers for communities as well as private fundraisers for individuals dealing with unimaginable circumstances. We feel grateful to be able to be a part of making the holidays FUN and memorable for everyone. Thank you for all your help. The guys were so much fun … and (The tips they generated for this fundraiser) went to a young lady here in town who was waiting for a heart. Guess what, she was called that day for a heart and had surgery the next day. We are so proud to have been a part of helping to save that woman’s life. We want to wish that young lady a quick recovery and hope that she lives a long life filled with FUN! Fun Pianos by 176 Keys Dueling Pianos is a FUN way to make your FUNdraiser a HUGE success. Contact us to find out more information. Silent Night in Fargo ND, Sioux Falls SD, Madison WI and Dallas TX? Nope. Not on our watch! Arguably the world’s most popular Christmas carol comes in several different translations from the German original. It started out as a poem by the Austrian Catholic priest Father Josef Mohr in 1816. Two years later, Mohr was curate at the parish church of St Nicola in Oberndorf when he asked the organist and local schoolteacher Franz Xaver Gruber to put music to his words. An unreliable legend has it that the church organ had been damaged by mice, but whatever the reason, Gruber wrote it to be performed by two voices and guitar. It was first performed at midnight mass on Christmas Eve 1818, with Mohr and Gruber themselves taking the solo voice roles. Its fame eventually spread (allegedly it has been translated into over 300 languages and dialects) and it famously played a key role in the unofficial truce in the trenches in 1914 because it was one of the only carols that both British and German soldiers knew. We don’t often get requests for our dueling pianos to play Carols anytime other than Christmas. Actually, after that explanation… I stand corrected. We get asked to play ALL kinds of Carols, we just call them anthems or oldies or ballads. There are always those songs that take us back to another time in our lives. We can remember the first time we heard the song. The first time we danced to it, and the first time we laughed / cried during it. They make us want to dance and be happy. I know I have a few. Whatever your favorite Carol is… whether it is Katy Perry’s “California Gurls” or Bing Crosby’s “White Christmas,” we hope to hear requests from everyone at our shows. We are here to put MORE FUN in your day! A little history lesson… New York, NY has the bragging rights for having the oldest “Pianoforte” in existence. I wonder if that piano can hold a tune? In all seriousness, though, the piano has been used to entertain and educate people for a very long time. At Fun Pianos by 176 Keys Dueling Pianos, we keep that tradition alive by giving our clients the most entertaining show possible. We love that we can share our joy of music and FUN with you! Take a gamble…. come see us at the Wild Rose Casino in Emmetsburg, IA. We are taking our dueling pianos show to the Wild Rose Casino in Emmetsburg, IA on Saturday November 29th. Come and see what makes us the BEST dueling piano show in the country. We let the audience run the show… seriously… our show is totally request driven. We love to get people up on their feet and dancing and singing right along with us. Don’t miss this show…. for anyone that has been to our shows in the past, we would LOVE to have you back. Since we do not have a set list prepared… no two shows are the same. Details on how to purchase tickets are on our FaceBook events page. You can click HERE to get information on the event. Share the event with your friends and make it a group night out! Happy Thanksgiving, from all of us at Fun Pianos by 176 Keys Dueling Pianos, to all of you! Thanksgiving Day has been an annual holiday in the United States since 1863. There are claims that the first Thanksgiving Day was held in the city of El Paso, Texas in 1598. Another early event was held in 1619 in the Virginia Colony. Many people trace the origins of the modern Thanksgiving Day to the harvest celebration that the Pilgrims held in Plymouth, Massachusetts in 1621. 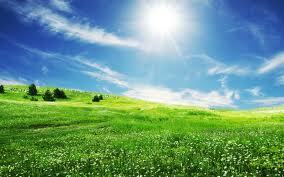 However, their first true thanksgiving was in 1623, when they gave thanks for rain that ended a drought. These early thanksgivings took the form of a special church service, rather than a feast. In the second half of the 1600s, thanksgivings after the harvest became more common and started to become annual events. However, it was celebrated on different days in different communities and in some places there were more than one thanksgiving each year. George Washington, the first president of the United States, proclaimed the first national Thanksgiving Day in 1789. We have so much to be thankful for here at Fun Pianos. We sincerely appreciate all of the referrals to your family and friends. We know that without great clients, we would not be able to continue doing what we love to do. I hope you are ready for us, West Point NE! Come on out to Nielsen Center on Wednesday night and have a blast dancing and singing with us before heading into a turkey-coma the next day. We would love for you to come see the BEST dueling piano show in the country… while at the same time, supporting a great cause. Take a break from the holiday craziness and enjoy a night out. We hope to see you there! Rainy and cold tomorrow in Kankakee IL… but inside The Emblem Club… will be HOT, HOT, HOT! Even when the forecast is calling for “icky” weather, our team will be there shining bright. Our goal is to entertain and engage the audience in our dueling pianos show. No matter what Mother Nature tries to throw our way, we can always turn gloomy faces into giant grins. Planning an event in the near future? We would love to help make it the best event you’ve hosted. People talk about our show for years… and even better…. the come back year after year. Check out the testimonials page on our site to hear how people feel about our show. If you are in the area of Kankakee, IL tomorrow night the 22nd of November…. grab a ticket… experience the show for yourself. You will LOVE it! 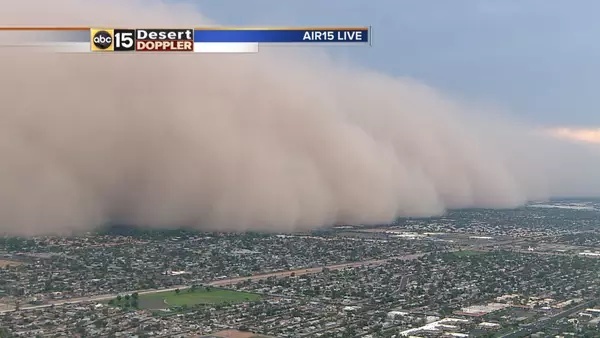 The lake effect snow storm in South Buffalo NY looked similar to a haboob in Phoenix AZ! 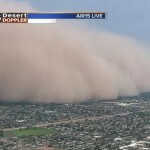 We have performed our dueling pianos show in Phoenix AZ where they have giant dust storms called haboobs. 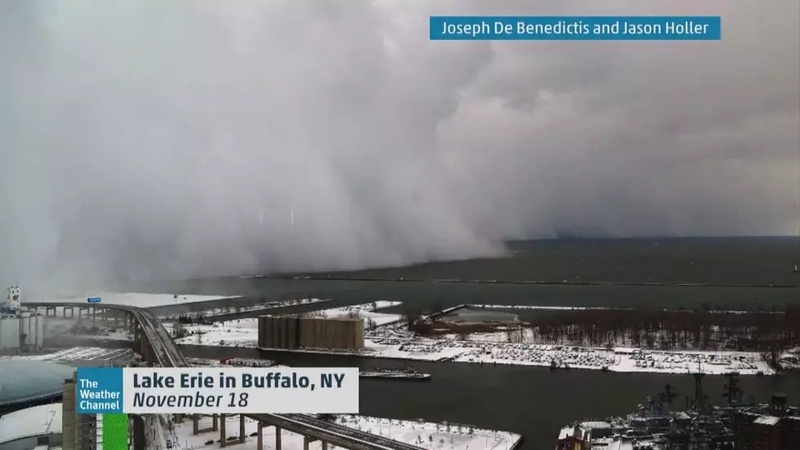 We have also performed our dueling pianos show in Buffalo NY… where they have “lake effect” snow storms. 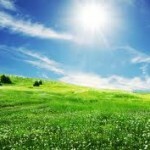 Thankfully, we have not been caught in either one of these weather phenomenons. We continue to keep Erie County NY and the surrounding areas in our thoughts, as they brace for more snow over the next few days. A show at Minden Opera House in Minden, NE….. Definitely NOT what you are expecting! The rafters were shaking in the Minden Opera House in Minden NE on November 15th, 2014. We hit a high note or two ourselves… but not the kind you think of when you hear Opera in the show title. Our dueling pianos team had the entire place on their feet and dancing. We had a great time! We aren’t afraid to perform “outside the box.” Actually, we aren’t really afraid to perform INSIDE the box… If that’s what you are looking for. We love to bring joy and laughter to everyone at our shows. Check out our testimonials page and see how we brought the best dueling pianos show to so many others! Click on the “Contact us” tab to see how we can bring the same show to you! 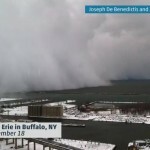 Our thoughts are with South Buffalo NY, Lancaster NY, Cheektowaga NY and all the other cities enduring this Lake Effect Snow Storm! As the snow continues to fall in these areas, we are thinking of all of our fans (current and future) who are suffering through this major snow storm. We are hoping that you all travel safe (if you absolutely have to) and stay warm. If you are snowed in, feel free to watch our YouTube channel for video reviews and some snippets of our show. If you really want to stay warm….. put on some music, turn it up loud and dance! Have a dance party with your family, or all by yourself. Either way…. it keeps the blood moving and helps keep you warm while the snow falls outside. All of us here at Fun Pianos by 176 Keys Dueling Pianos send sunshine and happiness your way! That’s right…. we are booking well into next year. (Not to say we don’t have room for you…. Check with us and see!) Our client in Norfolk, NE loves our show so much that they have asked us back next year… which will make it our 3rd time entertaining for the Bright Horizons fundraiser! We really appreciate our return clients…. we must be doing something right. Find out for yourself! If you have an event, fundraiser or wedding that is coming up in the next year, give us a call and we would be more than happy to give your guests the best dueling pianos show they will ever PARTICIPATE in.